If you're on the hunt for a casual yet sharp outfit, go for a white denim jacket and white jeans. As well as totally comfortable, these pieces look amazing when worn together. 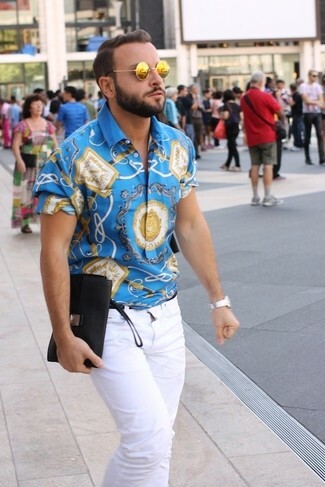 When it comes to shoes, this outfit is complemented nicely with grey low top sneakers. If you're after a casual yet dapper outfit, try pairing a light violet long sleeve shirt with DKNY jeans bleecker jean apparel. Both pieces are totally comfortable and will look great together. You could perhaps get a little creative in the shoe department and elevate your getup with dark brown suede loafers. 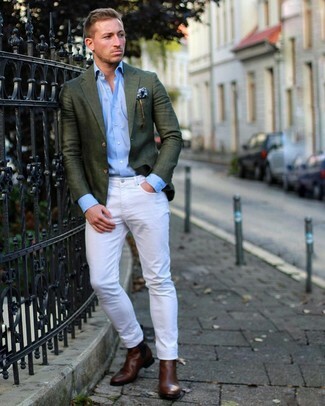 For a smart casual look, dress in a dark green blazer and white jeans — these two pieces play beautifully together. Rock a pair of dark brown leather chelsea boots to show your sartorial savvy. 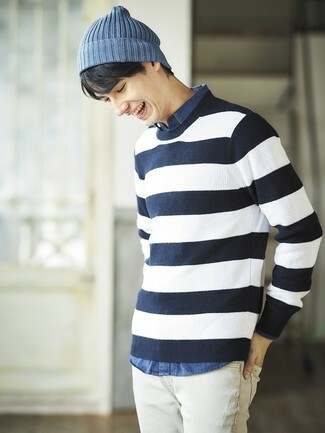 If you're after a casual yet on-trend ensemble, pair a navy and white horizontal striped crew-neck sweater with DKNY Jeans Bleecker Jean Apparel from 6pm.com. Both of these items are super comfy and they also look great when paired together. 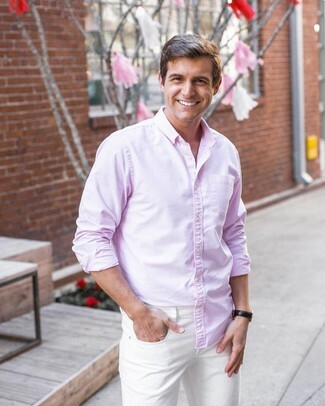 Reach for a pink long sleeve shirt and white jeans and you'll be ready for wherever the day takes you. 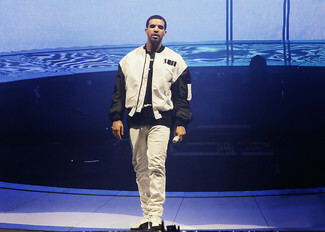 If you're searching for a casual yet seriously stylish look, pair a white and black bomber jacket with DKNY white jeans. Both pieces are totally comfortable and they will also look amazing when paired together. Go for a pair of white and black high top sneakers to make the getup current. 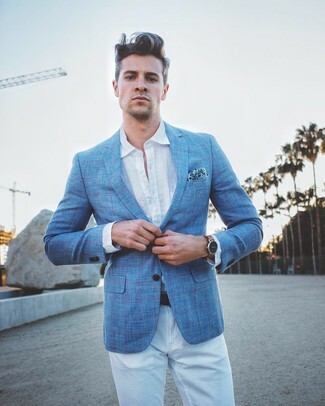 If you're on a mission for a casual yet on-trend ensemble, opt for a light blue plaid blazer and white jeans. As well as totally comfortable, both pieces look great when paired together. 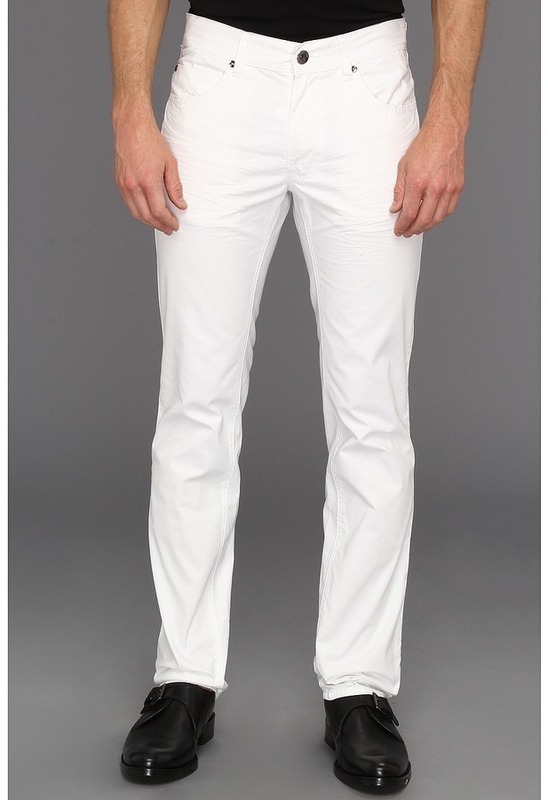 If you're after a casual yet seriously stylish ensemble, opt for a white short sleeve shirt and DKNY white jeans. As well as totally comfortable, these two items look wonderful together. If you're searching for a casual yet seriously stylish ensemble, consider wearing a blue print short sleeve shirt and DKNY Jeans Bleecker Jean Apparel. These two garments are very comfortable and they also look stunning together.